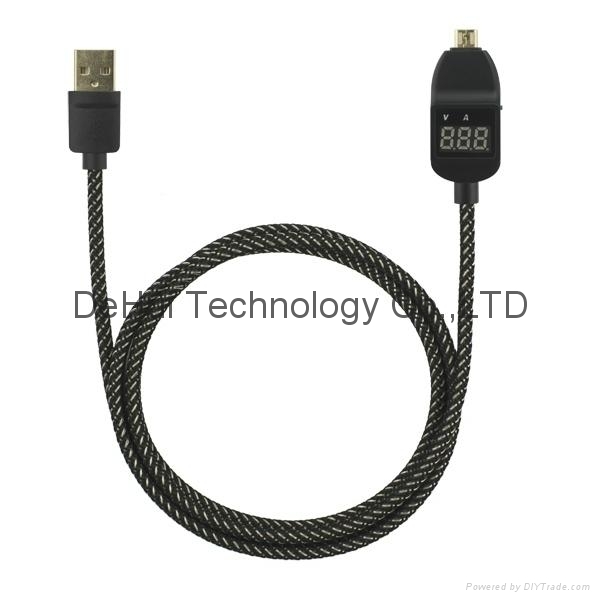 This Smart Display Super Charging Cable can display the charging voltage and current, while the charging voltage or current is too high or low, it can display “hi” or “lo”,let you feel free and safe to charge .The cable has two working modes,Fast Charging Mode and USB Data Mode. 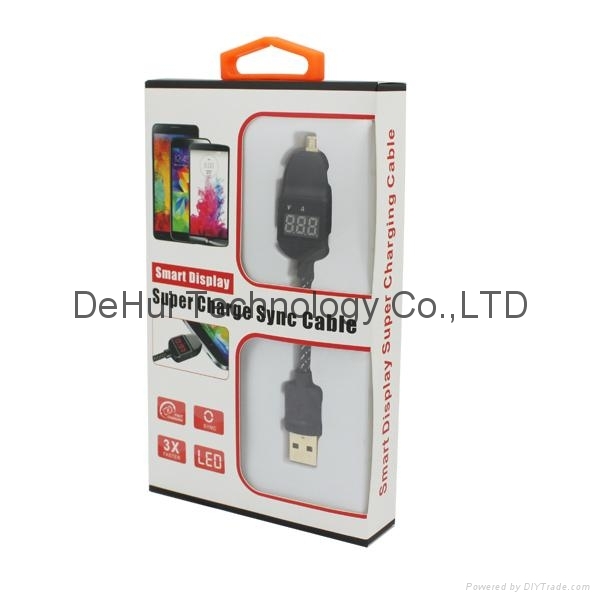 Switch to Fast Charging Mode,it automatic detect the connecting devices and provides more current supply and better protection through computer or Power Adapter,3X Faster charging speed than universal USB charging.Switch to USB Data Mode,it provides universal USB charging and Data transmitting. 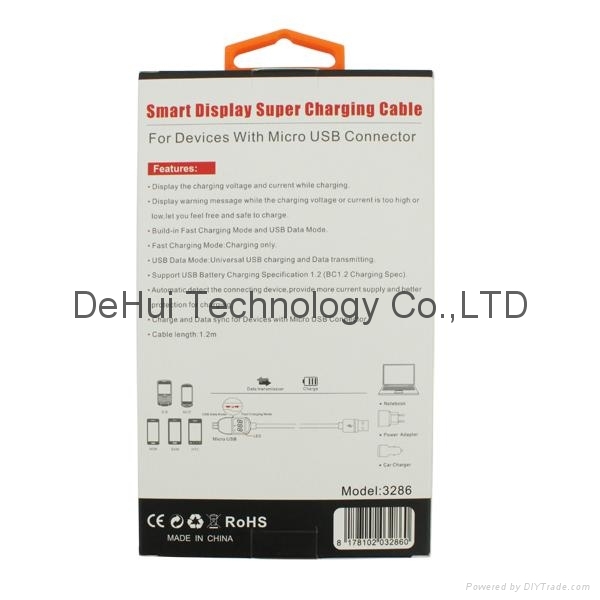 Display the charging voltage and current while charging. 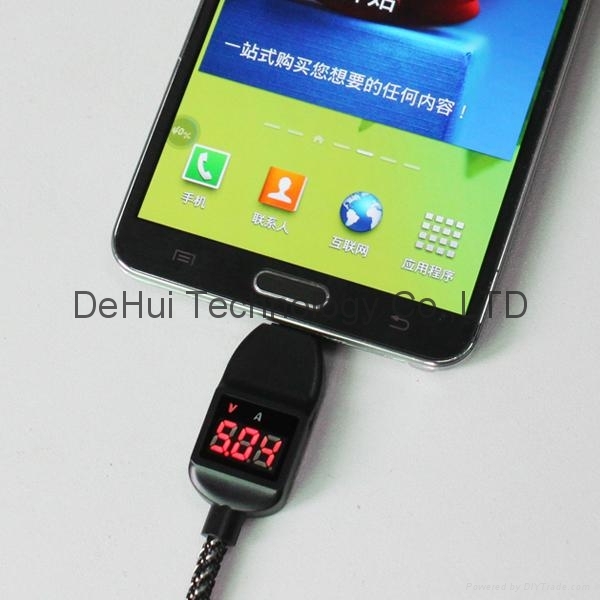 Display warning message while the charging voltage or current is too high or low,let you feel free and safe to charge. Build-in Fast Charging Mode and USB Data Mode. USB Data Mode:Universal USB charging and Data transmitting. 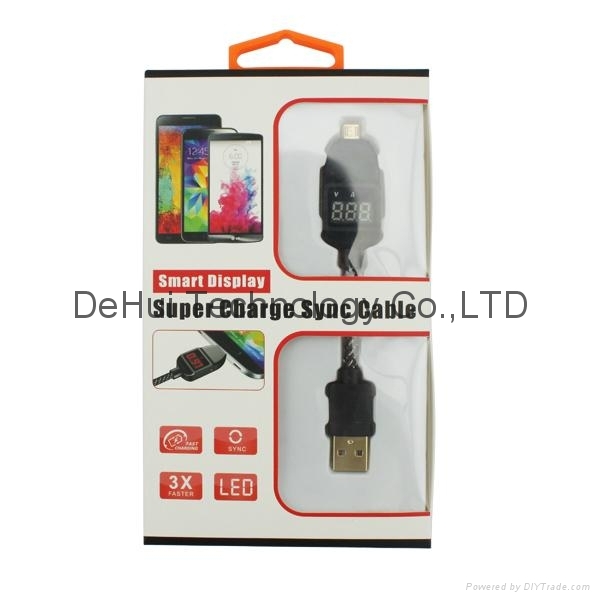 Support USB Battery Charging Specification 1.2 (BC1.2 Charging Spec). 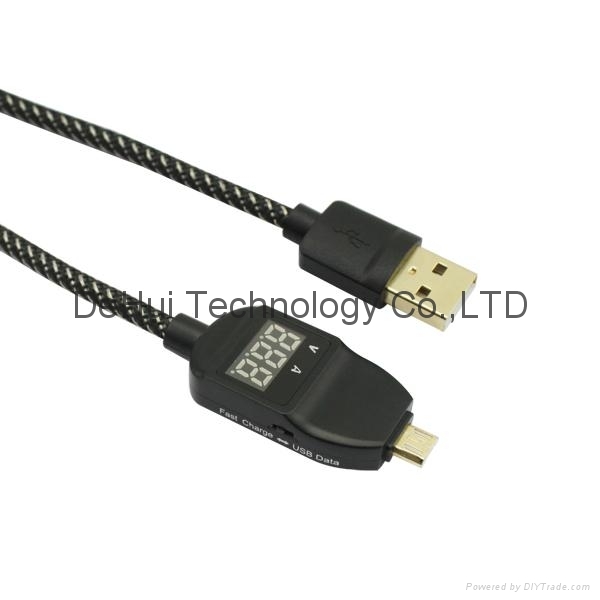 · Automatic detect the connecting device,provide more current supply and better protection for charging. Charge and Data sync for Devices with Micro USB connector.